Made these handphone jewelry this morning. 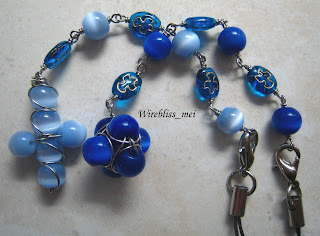 These blue ones are made of cat's eye beads and glass bead with dove motive on both sides. The one with swarovski crystal and a star pendant is commissioned. The rest i will try to sell to anyone who is interested. 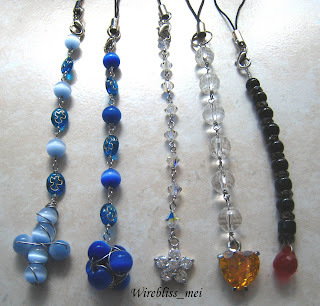 Labels: Handphone Charms , Wire Jewelry Share it!